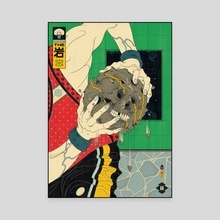 Edo—Ball is a series of 10 original artworks inspired by Basketball, Culture, Japan and Ukiyo-e art. One of the two original artworks which inspired the series. The Rock (a nickname for the basketball) is the centrepiece in the game of basketball. It lives, it gives, it takes away and the rock never lies. Maybe the most amazing attribute of The Rock is it's ability to bring people together from all cultures, religions and backgrounds. Anybody can get in a game and shoot The Rock. 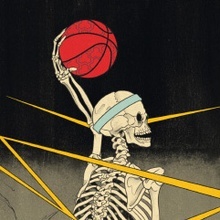 Illustrator and Art Director based in Melbourne, Australia.